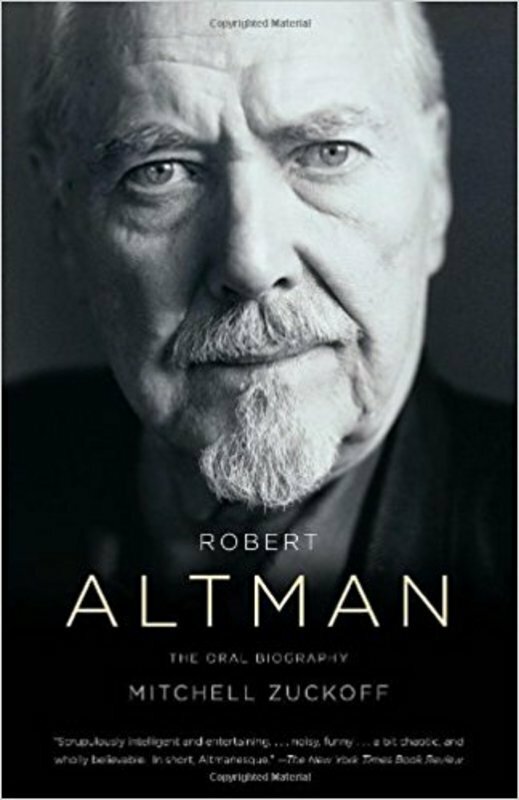 It appears that from the beginning of his career until almost its end (when illness slowed him), Robert Altman never passed an entirely sober day in his life. When he was not drinking heavily, he was smoking dope -- often doing both simultaneously. When he screened dailies on location, he insisted the cast and crew gather to view them in a party atmosphere, with the merriment rolling on into the night. For a few years, Altman was indulged by many critics and some studios and, admittedly, there are artful passages in 'McCabe and Mrs. Miller' (a critique of nascent capitalism that is probably his best work), 'Nashville,' 'California Split' and . . . very little else. Thus this question: How did a man with no interest in the fundamentals of film get taken seriously for as long as he did? I'm not arguing that the well-made Hollywood movie is the only possible filmmaking mode. The likes of Renoir, Bergman, Buñuel decisively disprove that notion. But the greats all share intentionality, the need to direct our attention to something that was on their minds. They did not leave their people flopping around until something printable happened. Schickel's baseless assumption is that what Altman's approach to filmmaking made him a bad director -- when his unconventional methods were elaborately designed to create just the effects you see on the screen. Altman's films offer a means of experiencing the world, a way of experiencing movies, that's instantly identifiable as his own. Schickel doesn't like it, he can turn away from it, but the fact of it is undeniable, whether Schickel can see it or not. That last line in the quotation above reminds me of something Scott Glenn once said about working on "Nashville." One of the main actors (individually miked) in a crowd scene asked how she would know when one of the cameras was on her. Altman told her she wouldn't -- but that if she did something interesting it might end up in the movie. I suppose you could, if you were so inclined, characterize that as leaving people flopping around in front of the camera -- as you could with any director who relies on improvisation, whether it's John Cassavetes, Henry Jaglom or Christopher Guest. But Altman carefully assembled his movies (and most of all their fine-tuned Hawksian soundtracks) so that you weren't left with the spectacle of actors flailing away for something to do or say while the camera rolled, as is pointedly the case, for example, in Jaglom's insufferable movies. If an actor wasn't in character, or wasn't doing something worth keeping, Altman would lose interest, his camera would wander away, the dialog would disappear into the sound mix, or he would cut around the moment. If you watch (and listen to) Altman's movies closely, you can see the intelligent choices he's making, even while the experience itself feels open, free-wheeling, sprawling, chaotic, bustling or any of those other Altmanesque adjectives critics are inclined to use to describe his work. My primary problem with the review is that if Schickel has no respect for Altman as a filmmaker, how would he possibly be in a position to give a fair review to an exhaustive biography of the man? And it's certainly obvious that Schickel loathes Altman's work, since he starts out by ridiculing "MASH" as "a basically witless film," then moves on to trash the rest of Altman's oeuvre, saying that "misanthropy -- with a strong admixture of misogyny -- essentially substitutes for ideas in his movies and his characters are, in effect, characterless." ... Schickel seems obsessed with Altman's licentiousness, admonishing Altman over and over for his freewheeling ways, as if he were the first filmmaker ever to use and abuse a variety of intoxicants. Obviously your reviewer waited safely in his lair until Robert Altman moved on, then bravely said what's been eating at the traditionalist core of his film soul for years. He negates Altman because of his life style. Would he dismiss Huston's drinking or Hitchcock's sexual repression as influences on their film gifts? Basically, this review says Altman was something new and different when he made his mark, but the reviewer never really bought it. So now Altman must be overrated and unimportant. What has been universally accepted -- that Altman was the one of the greatest American directors of his generation, an honor automatically inserting his name into every serious evaluation of cinema forever -- your reviewer claims was wayward opinion. He simply knows better. Altman was an innovator. His films might seem casual, but intentionally so. They were behavioral in appearance, but carefully crafted with ideas, and strong on consequence. Having served as a screenwriter for Bob, I can personally attest to his rigorous attention to writing. He just didn't want the result to seem written. This wasn't a dismissal of screenplays or writers, but Altman creating. Your reviewer belongs to the legion of unsuccessful detractors of important artists when bold work never before encountered was first unveiled. Some just can't break with the past. Directors, writers and actors don't have to replicate Altman for him to have impacted their sensibilities. The power of a major artist is that he or she is a force, standard, guide. What your reviewer doesn't grasp is that great artists always lead the way. The torch gets passed, the message out, the influence permanent. You don't have to be aware of originators to be modified by them. Bob's insistence on doing things his own way was essential. It's the major struggle. And Altman won. Which is the ultimate defeat for the studio ruling class and establishment apologists. Your reviewer uses Jules Feiffer's troubles with Bob as an example of overindulgence, but glibly dismisses Feiffer's description of Altman as a genius. In the critic's mind, Bob wasn't the right kind of genius. Altman never changed. To have "comebacks" shows he never went away. Some of his films might have been less than others, but each had the stuff of brilliance, and was part of a larger collection. Bob knew that continuously working in the rough was the best way to find the jewel. His biting humor never spared reality nor himself. The painful absurdity of it all. There was nobody like him during his professional peak, and there isn't now. The evidence of Altman's achievement is still with us: "M*A*S*H," "McCabe and Mrs. Miller," "Images," "The Long Goodbye," "Thieves Like Us," "California Split," "Nashville," "3 Women," "Come Back to the Five and Dime, Jimmy Dean, Jimmy Dean," "Secret Honor," "Streamers," "Tanner '88," "Vincent & Theo," "The Player," "Short Cuts," "Gosford Park," "The Company," "A Prairie Home Companion"... It don't worry me. Look at the movies -- many of which look better now than they ever did. Altman's reputation is solid -- it's there on the screen. Next Article: Jon Stewart channels Glenn Beck's intestines Previous Article: "That's funny...That plane's dustin' crops where there ain't no crops." "That's funny...That plane's dustin' crops where there ain't no crops."